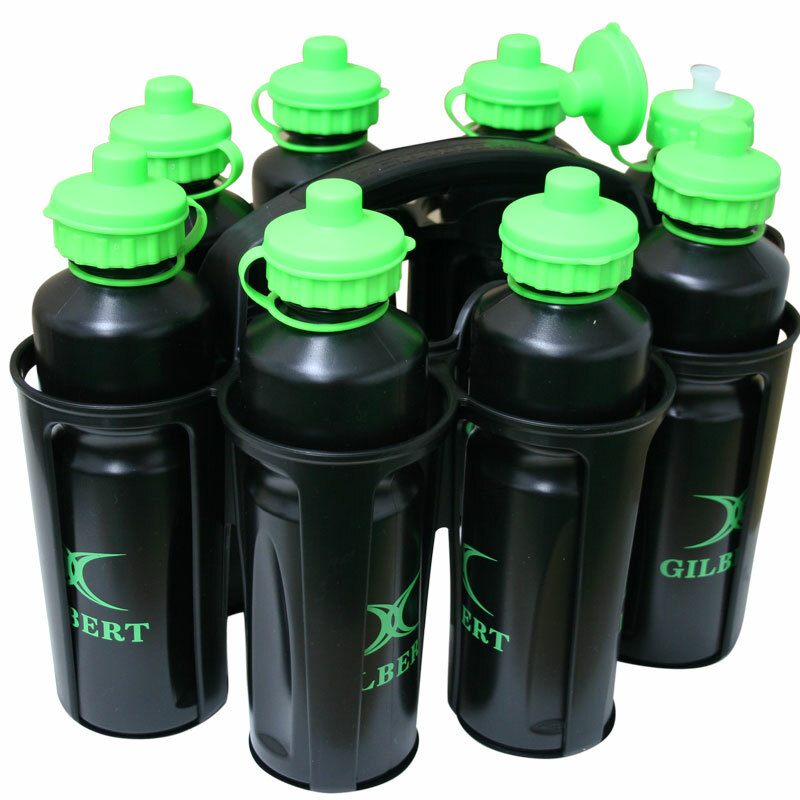 Gilbert ® Water Bottles and Carrier - a pack of 8 bottles and handy carrier, ideal for pitch side use or home storage. 8 x 750ml bottles with sports cap mouthpiece. Black plastic with Gilbert printed logo. Injection moulded plastic bottle carrier.